Spring Cleanup of the landscaping beds and lawn has to be completed before lawn mowing services starts to remove all the leaves and tree limbs from the lawn here in Williamsport MD. You also want to have your spring cleanup completed before the first lawn care treatment of crabgrass preventer and fertilizer so the barrier is not broken and allows crabgrass to germinate. Also the leaves laying on the lawn and shrubs over the winter does no good and causes all kinds of issues here in the Williamsport MD area. 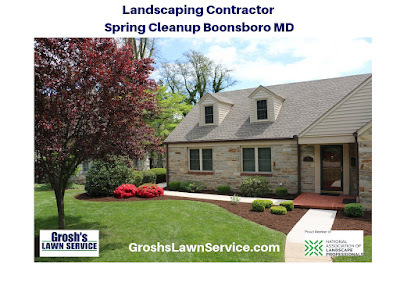 Contact Tom today at GroshsLawnService.com to schedule your spring cleanup for your home, office and commercial properties here in the Williamsport MD area and Washington County Maryland. 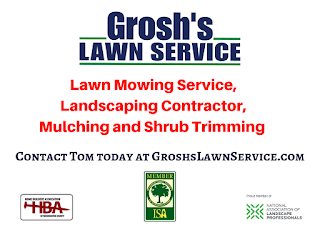 Contact Tom now at GroshsLawnService.com to schedule your spring cleanup here in the Williamsport MD area and Washington County Maryland.